Damage is the gripping story of a man’s desperate obsession and scandalous love affair. He is a man who appears to have everything: wealth, a beautiful wife and children, and a prestigious political career in Parliament. But his life lacks passion, and his aching emptiness drives him to an all-consuming, and ultimately catastrophic, relationship with his son’s fiancée. Chilling and brilliant, Damage is a masterpiece—a daring look at the dangers of obsession and the depth of its shattering consequences. 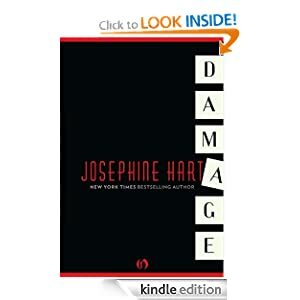 Josephine Hart’s international bestselling novels include Damage, Sin, Oblivion, and The Truth About Love. Born and raised in Ireland, she also produced several successful plays in London’s West End. Prior to becoming a writer, Hart worked in publishing and established the Gallery Poets and West End Poetry Hour. Yukon Gold Solitaire is a game for your Kindle Fire. 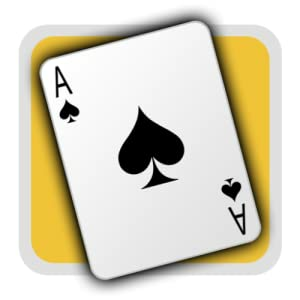 Solitaire remains one of the most popular card games for phones and tablets. While there are quite a few solitaire games available, some lack features and options, and others are difficult to actually play on a mobile device. Yukon Gold Solitaire is something better: simple but professional, beautiful and easy to play. The game unveil 24 popular solitaire (patience) games and variations in a great-looking, easy-to-play package. Three scoring modes and a high score board are featured, as well as full undo and redo, hints (suggested moves), and more. Yukon Gold Solitaire was carefully crafted for easy play and a great look on any display size, from small phones to large tablets. Move cards by tapping or dragging. Choose from 5 card face designs and 24 card back designs. Select from a number of stylish backgrounds and background colors. Optimize the layout for either left- or right-handed play. Optional sound effects add to the enjoyment of game play. If a tableau pile grows so deep that the cards extend off the bottom of the playing area, scroll the display to see them all, or in the settings screen, change the card spacing to fit more cards on the screen at once. In landscape the buttons are moved to the side of the display, and the Auto card spacing mode attempts to compensate for the differences in vertical space between portrait and landscape.